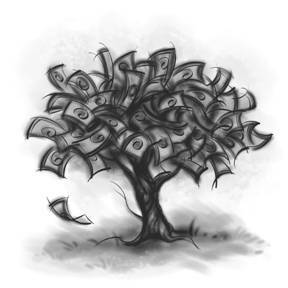 Tag Archive | "College Savings"
Be it studying, group collaboration or money budgeting, there are so many free online resources college students can tap into for help. These five apps and sites will make your experience everything it’s supposed to be. Whether you’re studying abroad in a foreign country or taking a required foreign language class, the DuoLingo app can get you through the semester. You can learn any language and for free! There are various lessons that let you practice speaking, listening and translations skills. The app is set up in a way where challenges are used to motivate to make progress as you learn a new language. The in-lesson grading component further helps you improve by letting you see which answers you got correct or wrong so you can see where there’s room for improvement. Need more practice? You can further immerse yourself in the language by streaming TV shows in the language you are studying. Go to the setting in your tv and swap the language or subtitles to the language you are studying. The more you hear a language in conversation the quicker it is to pick up. When you don’t have someone to practice with listening or reading it as you watch your favorite movie is the next best thing. Quizlet is a site that is made for students by students. If you’re taking a certain course and have various online quizzes or homework, chances are you can practice learning the same exact material on Quizlet.com. Those who have taken the same course as you prior have shared those same questions and answers from their coursework. You can customize the way you want to learn the material. For instance, the platform can curate certain definitions, facts and questions in a flashcard format, interactive challenges, quizzes or simply just list in a Q&A format for review. Many college courses require group projects and collaboration. It can often be hard to get everyone together in the same room to work on the same presentation or paper. Google Docs is a great way to share and edit living and breathing documents between you and your classmates. All you need to do is start or upload a document for others in the group to add their part to it and make revisions from there. At the end of the day, the platform encourages the ultimate sense of teamwork. After writing pages upon pages of a research paper, the last thing you want to do when it’s complete is figure out how to put together a bibliography. There’s so many different rules regarding formatting and style to keep track of, why not use the online resources that are available to do the groundwork for you. Cite This For Me is powered by Chegg, is an online tutoring and course-help service. The service will cite whatever material you used for you, be it a website, book, journal, magazine, documentary or show. You also can select the style in which you wish to format the bibliography whether it be APA, MLA, Harvard or Chicago. When everyone’s on a student budget, every penny counts. 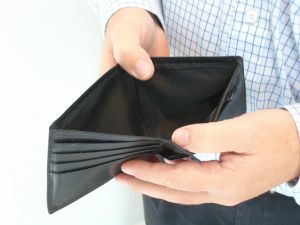 Large group outings like dinners and nights on the town can become a nightmare when the bill comes. To make sure everyone’s paying their share without going through the hassle of figuring out how to split the bill, use the Splitwise app. Share you bills and IOUs to friends easily. The app helps you keep tabs on what you owe to others and what others owe you throughout all your social outings. These free and very relevant online resources will make your college experience so much easier and worth every dime of tuition. The holiday season is filled with joy, celebration and lots of planning—planning the perfect gifts, planning where to get the best shopping deals, or planning a delicious holiday menu. Yet there is one plan that isn’t always top of mind come December: planning for college. With the cost of college doubling every nine years[i] and parents only on track to cover 28 percent of their college savings goals[ii], there is no better time to make saving a priority. Parents don’t want their children living with debt, as eight out of 10 are concerned that it will hinder their child’s ability to be financially independent post-graduation[iii]. Despite that fact, and that many parents are failing to meet their college savings goals, many are not asking for help from loved ones. Only 21 percent of parents report asking family and friends to consider gifting to a college fund in lieu of traditional presents for special occasions[iv]. The good news is that friends and family—particularly grandparents—want to help and are already having college savings conversations. Fidelity’s recent Grandparents and College Savings Study found that 69 percent of grandparents acknowledge talking to their children about college issues, including topics like the total cost of college and how the family will pay for it. But grandparents aren’t just stopping with conversations; they’re contributing too. According to the study, 90 percent of grandparents reported that they would be likely, if asked, to make a contribution to their grandchild’s college savings fund for special occasions in place of other gifts[v]. What’s driving grandparents’ willingness to help save? Fidelity’s newest eBook, “Gifting Grandparents: A Holiday Tale,” explores these motivations and many grandparents cite the importance of an education, skyrocketing tuitions and fees, and wanting their grandchild to be debt-free post graduation as reasons behind their generosity, among many more[vi]. One way that grandparents are helping their grandkids plan for the future is by contributing to 529 plans. According to the same study, 52 percent of grandparents report already being familiar with 529 college savings plans, which are dedicated solely to college savings and allow savings to be used federal income tax-free for qualified higher education expenses such as tuition, books and other education-related supplies and fees. In fact, there was a 12 percent increase in the number of new Fidelity retail 529 accounts opened by grandparents during the first four months of 2014 alone (January through April), compared to the same time period in 2013[vii]. Adding the gift of education to your holiday plans has never been easier. In fact, grandparents and other loved ones can gift from the comfort of their own home. Using Fidelity’s free 529 Online Gifting Service, owners of Fidelity’s retail 529 college savings accounts can use social media to encourage friends and family to help them save for college online. Giftors, like grandparents, can send their contributions electronically directly to the 529 college savings account – so no need to mail a check. The UNIQUE College Investing Plan, U.Fund College Investing Plan, Delaware College Investment Plan, and Fidelity Arizona College Savings Plan, are offered by the State of New Hampshire, MEFA, the State of Delaware, and the Arizona Commission for Postsecondary Education, respectively, and managed by Fidelity Investments. If you or the designated beneficiary is not a New Hampshire, Massachusetts, Delaware, or Arizona resident, you may want to consider, before investing, whether your state or the designated beneficiary’s home state offers its residents a plan with alternate state tax advantages or other benefits. Please carefully consider the Plan’s investment objectives, risks, charges and expenses before investing. For this and other information on any 529 College Savings Plan managed by Fidelity, contact Fidelity for a free Fact Kit, or view online. Read it carefully before you invest or send money. ©2014 FMR LLC. All rights reserved. You’re in college and it’s a great position to be in – the world respects you as an adult, but cuts you some slack when it comes to things adults are responsible for, because hey, you’re still learning right? One of the biggest changes you’re probably experiencing in your young, wild and free years is having to manage the money you spend on technology necessities in your home away from home such as cable, wireless, electricity bills, etc. 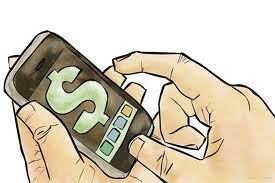 Here are some technology money-saving tips for students new to the game we call life. Since you can basically almost watch anything using the almighty internet, forego the cable and invest in a Roku player. A Roku is capable of housing all your guilty-pleasure viewing platforms like Netflix, Hulu Plus, Amazon and HBO without having to connect to a computer. You end up saving money watching shows you actually choose to subscribe to as opposed to paying for expensive cable that you may only use five channels of. When you live with roommates, it can be hard to adjust to their living habits. Some may not turn off the lights to save energy, and it’s tough to tell someone you barely know how to live. Purchasing something like a Belkin Energy Saving Power Strip could do the trick without the imposition. With all the accessories that accompany a college student’s entertainment center – X-box, DVD, TV, Sound System, that’s a lot of energy-sucking devices plugged in. The strip automatically shuts off power for accompanying electronics once you switch off the TV, thus energy is conserved, lowering your electricity bill. College is a time dedicated to exploration, therefore making commitments are extra challenging – the same goes for contracts through wireless service providers. T-Mobile is defying the more pricey norm of restrictive data plans, becoming known as an “uncarrier” by offering the best monthly rates compared to other large wireless providers, no-contract phone plans, and free 4G LTE data so you can use as much Instagram and Spotify you want, wherever and whenever. Additionally, if you fly home from school for breaks, take note that T-Mobile is the only wireless company whose customers can text and send pictures, during flight. This is economically the best choice of wireless network (un)carrier financially and socially, both uber important for a student’s well-being. Technological devices like laptops, tablets and phones are advancing at such a rapid pace these days, it’s almost impossible to consistently have the latest and greatest at an affordable price. And when you’re on a Ramen noodle diet, strapped for cash, it’s especially difficult to even afford “new” anything. Buying refurbished electronics is a smart alternative that helps you save money while still getting a quality product. As long as you do your research (reading reviews on sellers and such), purchase a refurbished device from a reliable retailer and it’ll feel like brand new. You probably won’t even have it for long before the next hot thing comes out making it really the best way to ball on a budget. Your peers won’t even know the difference – they’ll just think you have the newest generation iPhone out there. You may have taken for granted having easy access to endless “free” web surfing that the ‘rents took care of, but now, you get it. By implementing a few of these tech money-saving methods, you’ll be one step ahead of the game in this exciting new chapter of the real world. September is College Savings Month – Let’s Talk College! While most people connect September with “back to school” season, not everyone may know that it’s also College Savings Month, a good reminder to parents to sit down as a family to evaluate and update their progress saving toward college goals. For some, it will be a simple check in and formal acknowledgment that everything’s on track. For others, it may be the first time that they’ve ever sat down and truly mapped out a plan. Regardless, families that prioritize and set goals together are accomplishing the most important part of the college savings process: communication. In a time of rising college costs, one would hope that families are over-communicating to ensure that they’re able to cover all of the expenses at hand. But some high school students that we recently caught up with said otherwise, saying things like they “haven’t really talked about” saving for college with their parents. What’s more, Fidelity’s 8th annual College Savings Indicator Study[i] found that parents expect their children to pay an average of 35 percent of total college costs. With parents on track to save just 28 percent of their college savings goals, it’s no surprise that they’re turning to their children for help. Having the college savings ‘talk’ is important. Among parents with children 15 years or older, when having good conversations about school selection, choice of major, job prospects, earning potential and the meaning of student loans, more than two-thirds (69 percent) stated that they made adjustments to their plans. Fifty-nine percent of parents have a plan in place to help them reach their college goals. While they still have work to do, those with a plan are more likely to feel on track to reach their goal (52 percent) than those without (16 percent). Ninety-three percent of parents saving in a dedicated college account—like a 529 plan—say it helps them save and stay on track, while also separating college savings from other short-term goals. Families using 529 accounts feel more confident about how best to save, save more each month and are more likely to have talked to their children, creating a family plan to pay for college. Making savings automatic can also help. Setting up options such as direct deposit or automatic transfers from a checking account can make it easy. Early and regular contributions are critical factors in building your savings. You may recognize the need to save, but with so many other savings priorities, like day-to-day expenses, emergency funds and saving for retirement, don’t know how to find that extra dollar to save for college as well. Instead of thinking of ways to cut saving elsewhere, think of ways to take advantage of current spending. 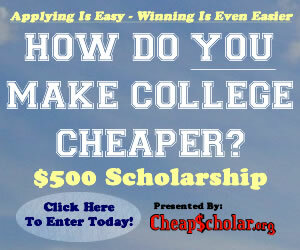 One option is a rewards credit card that can help earn money toward college savings. Another solution is asking friends and family. Many would likely welcome the opportunity to support college savings as a gift, especially grandparents. Fidelity’s Grandparents and College Savings Study found that 90 percent of grandparents said if asked, they would be likely to make a gift to college savings in lieu of traditional gifts for birthdays, holidays or other special occasions. The college saving process is often confusing, so study up on the essentials. 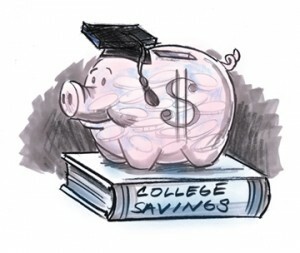 Approximately half of parents reported they need additional education when it comes to how best to save for college, saying they either don’t know, or need more information about: what accounts are best to save (49 percent), how to invest savings (50 percent) or where to go for advice about college savings (48 percent). You shouldn’t feel the need to go the college saving process alone. Six out of 10 parents report feeling overwhelmed by saving for college, but financial professionals, school counselors and college planning pros are available to help. Seven out of 10 families working with a professional feel confident that they have a good understanding of how best to save for college. It’s never too early to get started on a college savings plan. In fact, those families who have discussions when their children are young are in a much better position to reach their savings goals. The earlier you broach the subject, the more time you have to learn about the college savings process, save, and adjust your plan accordingly. Do you have a college savings plan in place? Take advantage of College Savings Month to get your families college savings on the right track. Today’s guest article comes from Keith Bernhardt. He is vice president of college planning at Fidelity Investments. The UNIQUE College Investing Plan, U.Fund College Investing Plan, Delaware College Investment Plan, and Fidelity Arizona College Savings Plan, are offered by the State of New Hampshire, MEFA, the State of Delaware, and the Arizona Commission for Postsecondary Education, respectively, and managed by Fidelity Investments. If you or the designated beneficiary is not a New Hampshire, Massachusetts, Delaware, or Arizona resident, you may want to consider, before investing, whether your state or the designated beneficiary’s home state offers its residents a plan with alternate state tax advantages or other benefits. Units of the Portfolios are municipal securities and may be subject to market volatility and fluctuation. Please carefully consider the Plan’s investment objectives, risks, charges and expenses before investing. For this and other information on any 529 College Savings Plan managed by Fidelity, contact Fidelity for a free Fact Kit, or view online. Read it carefully before you invest or send money. Keep in mind that investing involves risk. The value of your investment will fluctuate over time and you may gain or lose money. Fidelity Brokerage Services LLC, Member NYSE, SIPC, 900 Salem Street, Smithfield, RI 02917 699317.1.0 ©2014 FMR LLC. All rights reserved. Want to make an extra $50-$70 a month? Then stop with the morning coffee. Medical science still can’t seem to decide whether a daily cup of joe is good or bad for your health, but it is certainly awful for your budget. Scholarships.com estimates that if you cut out your daily dose of fancy coffee and your gooey breakfast pastries, you’ll easily save $50-$70 each month. This is just one easy tip that college students should keep in mind when trying to balance a limited budget with a big appetite. Your school likely has a meal plan, but many students will tell you these options can get pricey real fast. For example, the University of Houston charges $1,350-$1,800 per semester for food plans, depending on your dining interests and options. You can get creative and likely save money if you have your own kitchen. UH students can check out Houston apartments for choices near campus that are excellent for trying your hand at independence, money management and food preparation. Many merchants welcome student dollars. You can start by asking a merchant if he or she has any deals available for students, since some national restaurant chains may offer them but individual restaurants may not. Or visit StudentRate.com, which features special dining offers for students in communities all around the country. Every town has some kind of discount grocer where dented cans are the rule, not the exception. The inventory is always changing and the prices are always affordable. You might find flavors and varieties that didn’t catch on in other parts of the country, food in dented packages that’s still consumable, brands you’ve never heard of or even stuff not from this country. Giant warehouse stores are definitely economical, but on a huge scale. The biggies in the U.S. are Costco and Sam’s Club, but B.J.s Wholesale Club is also gaining some traction on the East Coast. Membership at either store starts around $40-$50, and there may even be a student deal. Or if you don’t want to join, find a classmate with a membership who can bring you along. When meat gets close to its recommended “sell by” date, stores often discount it and move it to the “Manager’s Special” section rather than tossing it. 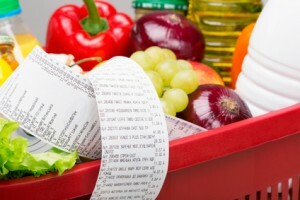 There are some great deals to be found here, but the types of cuts or meat choices are random. If you’re comfortable cooking everything from ground beef to chicken, you’ll be in cheap carnivore heaven. Ask the meat manager if there is a certain day or time that items are moved, so you can have a better selection. Make sure you either cook it or freeze it right away. Colleges or county extension programs often teach inexpensive classes about food and nutrition, including cooking, vitamins, dietary health, protein and more. They rarely take more than a few hours, so are great for students who want the info but don’t want to enroll in a semester-long course. Most campuses have extensive libraries that offer access to thousands of books and the internet. Rather than buying text books, see if the library has a copy or if they can source one for you. If an eBook alternative is available this is also a great way to cut back on costs and you can save plenty of cash by taking advantage of the facilities on offer. Finding a roommate, joining a supper club or carpooling are all excellent ways of reducing costs and saving money. You can also club together with other students and buy in bulk to reduce food and other essential items’ prices. There are many ways you can save money if you use your imagination and team up with other students to cut back on costs. A night out can easily cost you $50 but if you are creative there are many other fun activities at a fraction of the price. Check out which music venues, coffee shops and bars offer student discounts or invite friends round for a dinner where everyone brings an item to share. Instead of going to the cinema or buying expensive console games try out online and mobile iPad Casinos as possible lucrative entertainment options. You may be one of the lucky students who have a car, but gas can be expensive. Wherever possible walk or cycle to classes and save your car for long distance journey’s. Walking and cycling are also great ways to stay fit and can save you money on a gym membership! If you have to drive try and share with someone who will split gas costs or will lift you in return at a later stage. These are just a few ways to save money in your first year of college and there are of course many more. Good luck! 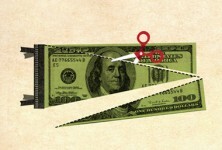 Forbes announced that the average U.S. student loan debt in 2012 climbed to more than $25,000. Can you afford to graduate with that level of debt? Try to minimize your debts by saving in small ways while on campus. Stick to a budget without sacrificing fun in the following three ways. The National Institutes of Health reports that exercise improves your mental capacity and ability to succeed in school. Get out of the dorms and geocache with your friends using your cellphone GPS. While exploring your campus and nature, you’ll stay physically active, mentally alert and entertained without emptying your checking account. Search geocaching.com for local geocache locations. Locate the coordinates on your phone, and head to the location. Search for the hidden items and replace it with a homemade beaded bracelet, colorful stone or dollar store toy. Document your adventure by signing the online logbook and add clues about the location for other geocache enthusiasts. Free concerts and music performances are culturally entertaining and a cheap date. Whether you’re into film or live performances, you don’t have to miss out on new shows just because you’re living on a college student’s budget. Visit your school’s website or Facebook page to stay updated on cultural events and activities, such as concerts, movie showings or plays. Gather a group of friends, a blanket, sodas, and a few snacks — you’re ready to enjoy the show! Also, check out matinee performances at local theaters or look for discounted Telecharge tickets in your city. Tickets are more affordable than paying full price, and for a special occasion, you can check out traveling Broadway shows, concerts and dance performances. Use your creativity to make this list. The more bizarre it is, the better. Give each team a list, make sure one person on each team can take a picture using their smartphone and set a time limit for when you’ll meet at the starting point. The first team to find all the items or document all the actions wins bragging rights as you stay entertained without spending a dime. Everyone loves getting things for free, and there are more freebies available to you than you know. Whether you want to fly for free, enjoy samples of your favorite products, or earn cash back when you spend money, you can soon start freeloading with the best of them. It may take a little research and some time spent signing up, but the efforts are worth the freebies. In most cases it doesn’t cost anything to sign up with these sites. If you simply include your name, phone number, email address, and mailing address, you’ll receive your freebies in just a few weeks. In other cases, you may have to share a tweet or a Facebook comment. If you’re really interested in freeloading your way to success, then try Internet banking opportunities. Doing this can actually lead to you receiving money for free, and cash is the best freebie of all. If you sign up to receive Discover Bank’s reward points, for instance, you can get beneficial features attached to your banking account in addition to receiving cash back on the purchases you make with your debit or credit cards. You’re essentially getting paid for buying things, which is a win/win situation. Many of your favorite stores also offer reward programs. You know all those little cards attached to your key chain? They lead to tons of great freebies. If you have a reward card for your favorite drugstore or retailer, you can acquire points with each purchase; get enough points, and you can buy something for free. You might have to buy ten packs of diapers to get one free, for instance, or you may get to choose your own reward. Other programs take discounts off your purchases, so with the right coupons, you end up getting items for nothing. Flying is expensive, so of course you’ll want to fly for free. Once more, look to Internet banking if you’re freeloading your way to success. Several credit card companies and banks offer frequent flyer programs that work like cash back reward programs. If you make purchases with the card tied to the frequent flyer program, you’ll start saving up your miles. If you buy enough items over a long enough period of time, you can theoretically fly all the way to Australia or China without paying for your airfare. As you can see, getting freebies is pretty easy as long as you figure out where to look. What’s the most amazing thing you’ve ever gotten for free?